Basel has always been known as one of most important regions associated with life sciences within Europe. Due to its convenient location at the confluence of the French, German and Swiss borders, scientists from around the world are able to enjoy superior venues, access to a variety of conference halls and the ability to interact with other professionals in select fields. In addition, Basel is home to such reputable firms as Roche and Novartis. Beginning on Monday 19th September, the annual Basel Life Science Week (BLSW) is once again opening its doors to experts throughout various industries. What are some of the key attractions of this year’s internationally recognised symposium? To strengthen the reputation of Basel as the hub for life sciences within the European Union. To bolster meaningful collaborations between industry experts and academia. To serve as the primary non-profit organisation for the Basel Life Science Week into the future. The vision is for Basel LIFE to be the “ART Basel” for Life Sciences. Just before the start of the this year’s Basel Life Science Week, EALS is proud to present its new committee with Prof. Susan M. Gasser (director of the Friedrich Miescher Institute for Biomedical Research) as President, Prof. Edwin C. Constable, Vicerector Research University of Basel as Vice-President and Bryn Roberts, Global Head pRED Informatics at Roche as Strategic Officer. So, it should be clear that the EALS will be a pivotal contributor to this life sciences conference. The presence of this organisation will help to attract even further collaborators at next year’s conference, to ensure that the entire industry remains at the forefront of human-centred health care and innovative research solutions. The Basel Life Science Week takes place at Congress Center Basel and Messe Basel. The event is becoming a great magnet for life sciences innovation. The 2016 programme will see a convergence of many great offering – which include: The Day One programme on Precision Medicine from BaselArea. The ILMAC Exhibition on Laboratory Equipment, and the Medical Devices and Diagnostics conference “Medtech&Pharma” will all take place the same week. This synergy of events will be the most amazing event in life science and health space. 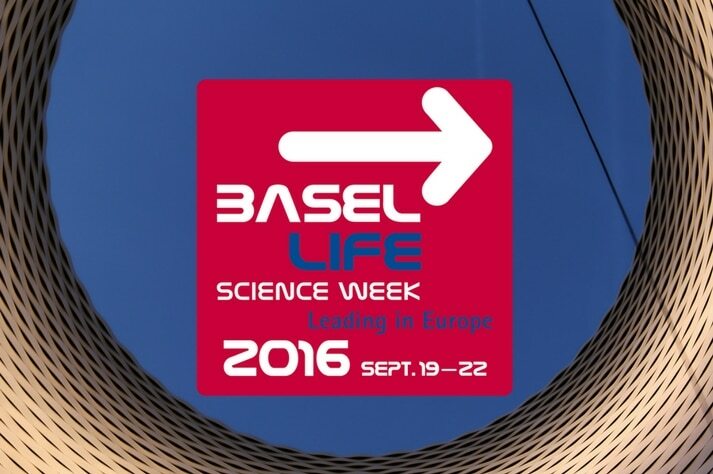 You can access all these programmes from links on the Basel Life Science Week homepage. It is predicted that approximately 3,000 guests will be attending and currently, no less than 100 companies are expected to showcase their advancements. The Basel Life Sciences Week will also host the famous ILMAC trade fair. This event intends to focus upon levels of enhanced competency when dealing with laboratory processes. In particular, a seminar known as “Industry 4.0” is aimed at highlighting the role of automation within the modern laboratory environment. It is expected that more than 12,000 industry professionals will attend this event. In addition, this year offers an interesting “Lunch & Learn” session which will be taking place on 22 September from 11:00 to 14:00. Basel Life Science Week 2016 will once again prove to be a landmark opportunity for researchers and other professionals to appreciate the truly amazing advancements within this burgeoning sector.